Locate video required, look for 'Embed/Link' to generate a stable link. 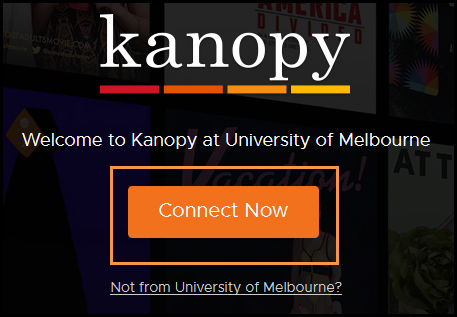 Locate Kanopy in the catalogue and click on 'Connect now'. Select the video you wish to share and copy the URL to use as your link.